What a celebration you have had! 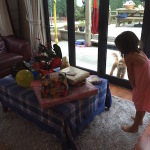 You woke on the morning of your 6th Birthday, stretched up with your arms and said, ‘My, I have grown!’. And yes, you really have. This past year and a half, since arriving back from our amazing experience living in California (which you still talk about with great fondness – particularly the endless sunshine days swimming in the pool, playing with your friend Ollie, and visiting Disneyland!) has been full of firsts and new beginnings. It’s been a year of starting formal education and losing your first two teeth. You’ve started to read and write, you’ve chosen to grow out your fringe and grow your hair long (thankfully you are great at brushing it! ), you’ve had a lovely long summer, playing with friends, family and Grandma & Granddad. You finally stopped breastfeeding (not that you had it often – just at night for comfort mostly), which I was beginning to worry would never end! You holidayed in Singapore and loved meeting up with Chinese Granddad and Grandma there (and keep asking if we can go back one day). 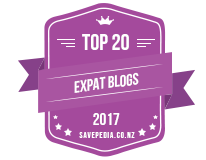 We also had a fabulous holiday in Taupo (where you loved fishing for prawns and riding the luge down the hill, at the Skyline Gondola in Rotorua). You definitely have the genes for exploring and travelling firmly in your system! Unfortunately we couldn’t whisk you away to an exotic destination on the day of your 6th Birthday, but you happily went off to school (taking this selfie of yourself, proudly wearing an ‘I am 6!’ badge and wiggling your very, very, wiggly tooth, in the car on the way). 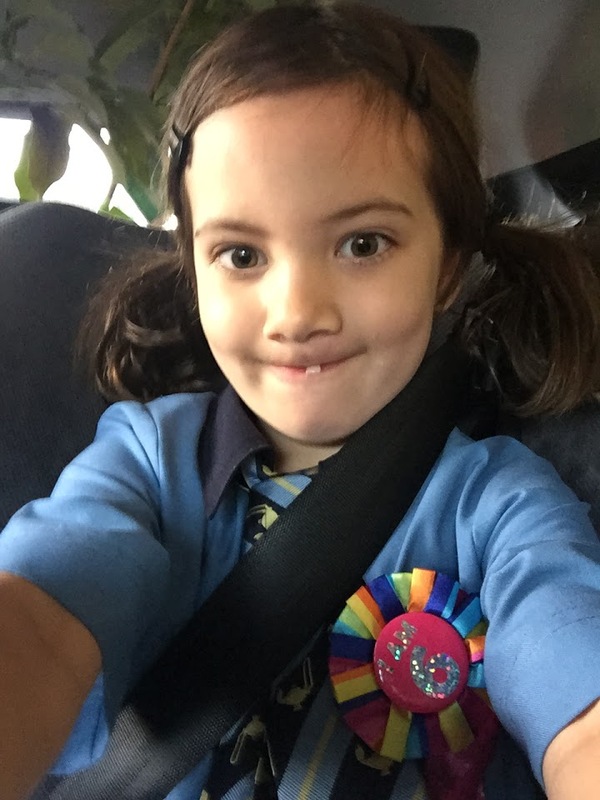 Alice & her very wiggly tooth ‘selfie’ on the way to school on the morning of her 6th Birthday! You took in some gorgeous cupcakes to school, which you’d helped to make the day before. 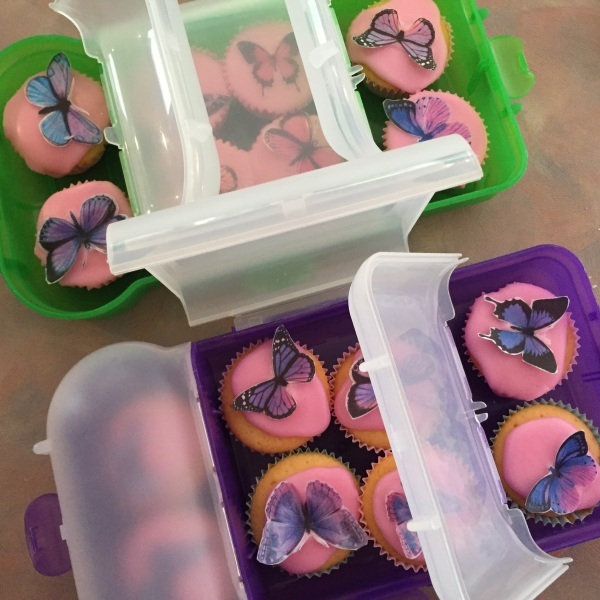 Butterfly adorned cup cakes for school on Alice’s 6th Birthday. 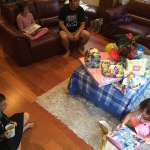 And were delighted with the gifts that your loving family had sent you to celebrate your special day. After a great day at school I picked you up and we headed to ‘Chipmunks’ with our neighbours, where you had a blast of a time at the indoor playground (and ate lots of fairy bread! ), before returning home to blow out candles on a couple of scrumptious cakes! Two days later, that wiggly tooth finally came out! 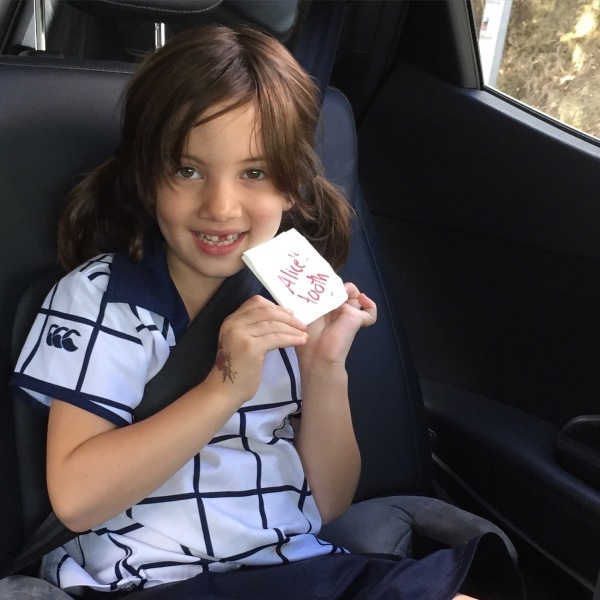 Alice’s 3rd tooth came out at school, two days after her 6th Birthday. When the weekend arrived we celebrated with your new school friends at the trampoline park in Petone. 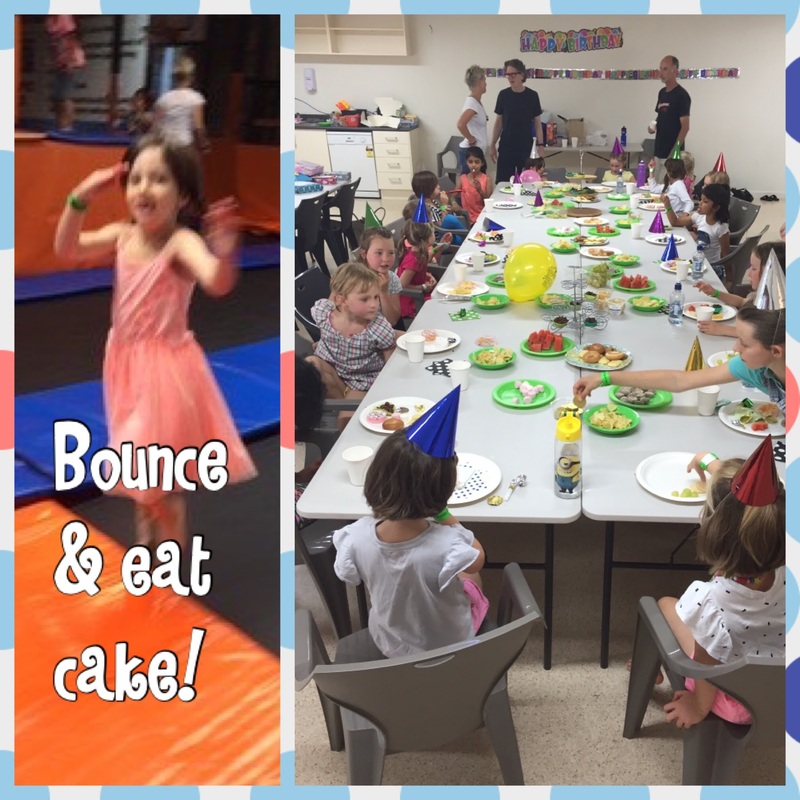 It was an energetic celebration! 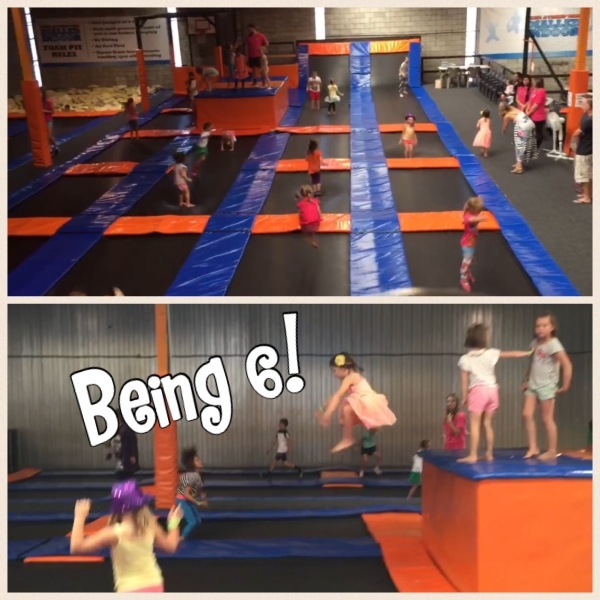 Your friends joined you in an hour of bouncing before tucking into some party food. Your friends treated you to some gorgeous Birthday gifts. 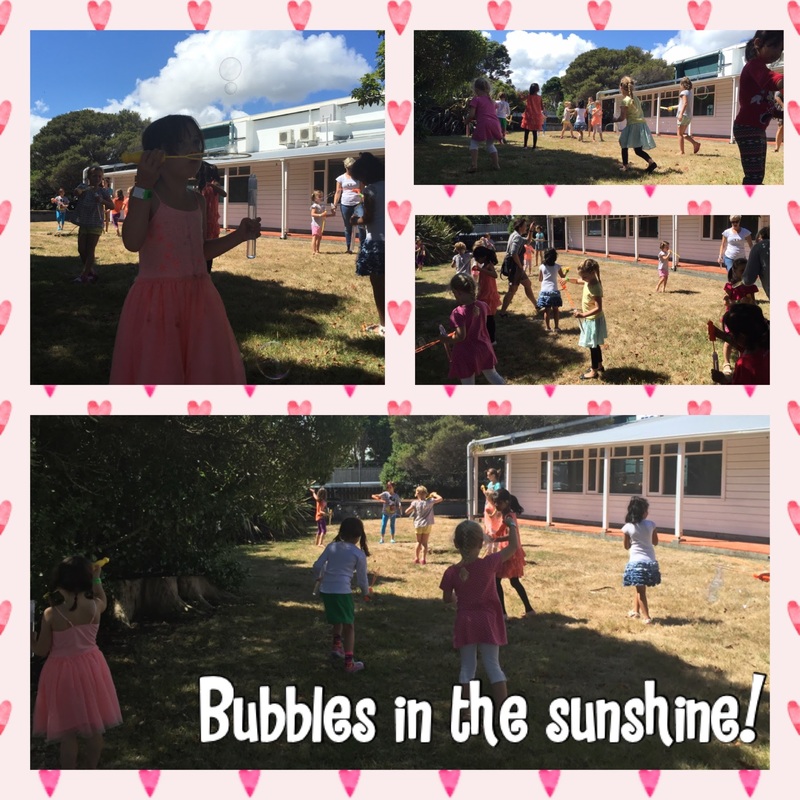 And then we headed out in the sunshine, to cool down with some bubble blowing. 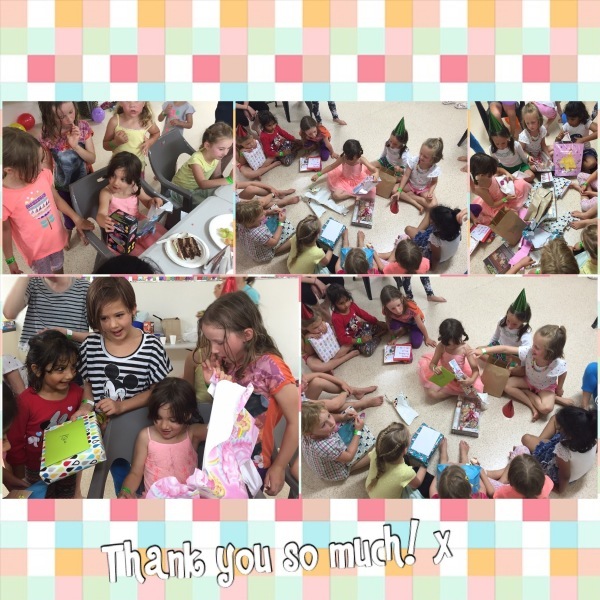 It was such a fun party, so much so that you quickly fell asleep in the car on the way home – you still love a nap whenever you can sneak one in (but then you do stay up later than most other 6 year olds I know – never wanting to miss a thing and always enjoying some time with your sisters or playing with your friends in the neighbourhood!). 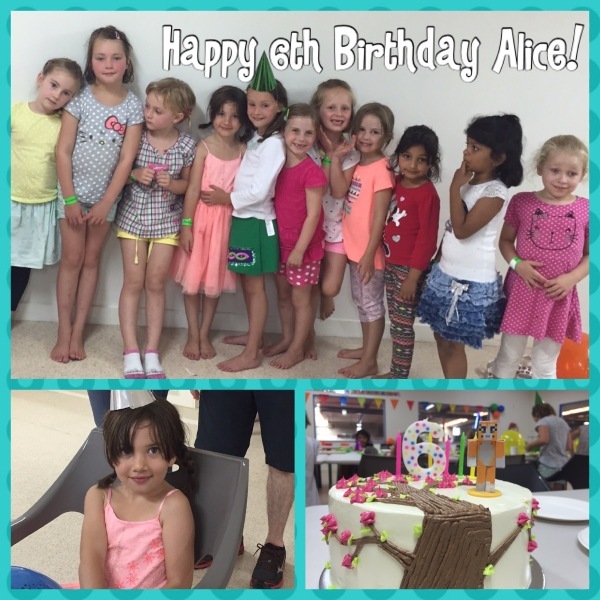 Have a great year being 6 dear Alice. It is wonderful to see you so happy, increasingly independent and brimming with confidence. We know you’d rather not have to work on your writing at school (not your favourite thing to do), but are so glad you are enjoying many other things – particularly art, French (yes, you have started lesson in Year 2! ), and music. 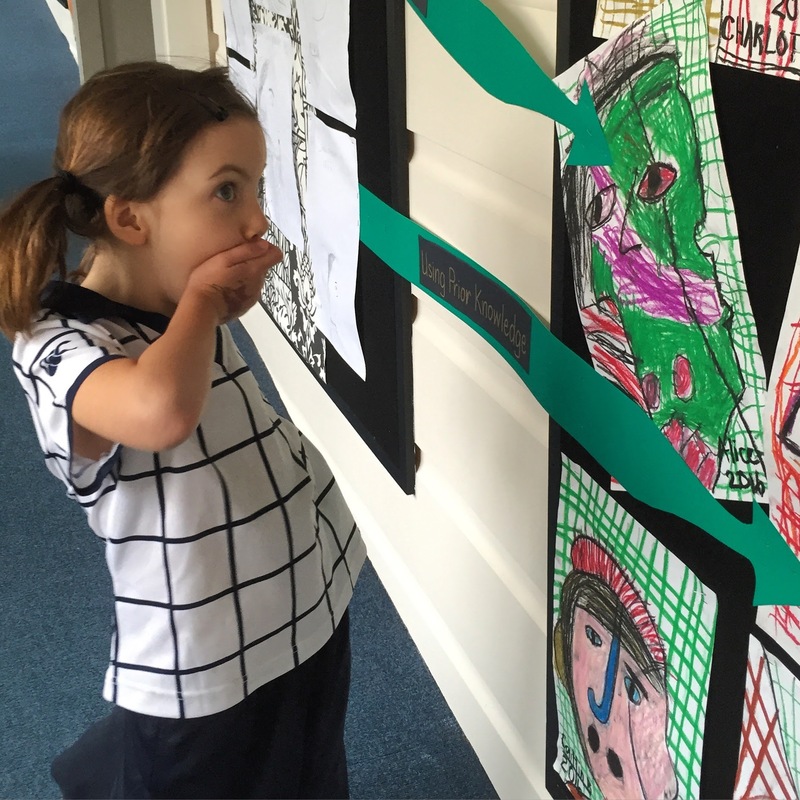 Alice delighted to see her artwork on display in school. 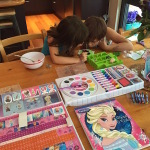 It’s lovely that you are enjoying a couple of new hobbies this year too – gymnastics with your sister Sophie – and tennis lessons (which you are kindly using to help improve your Mummy’s swing!). 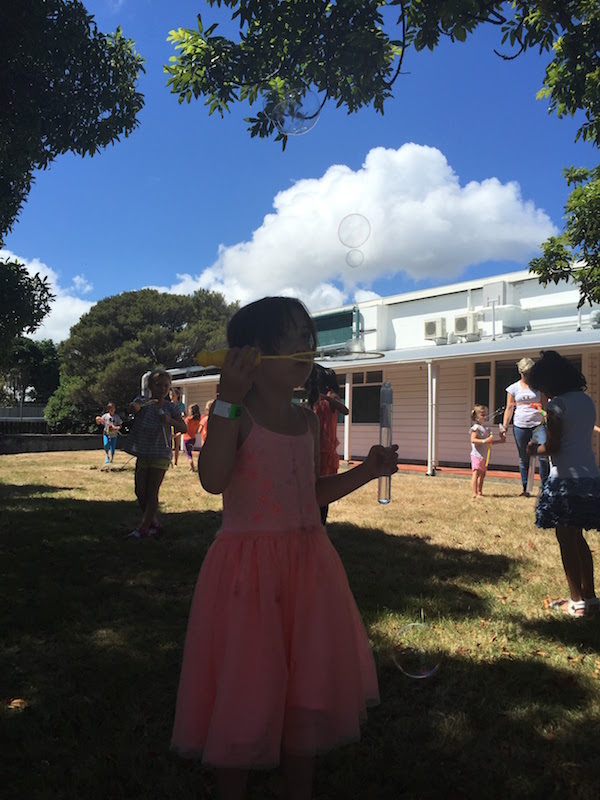 We see how happy you are when you’re playing freely and know how much you adore nature and swinging in your hammock in the garden (often singing away to the birds, butterflies and bees). We will always wish for you to hold onto these passions, as they are such a special part of the amazing person you are. 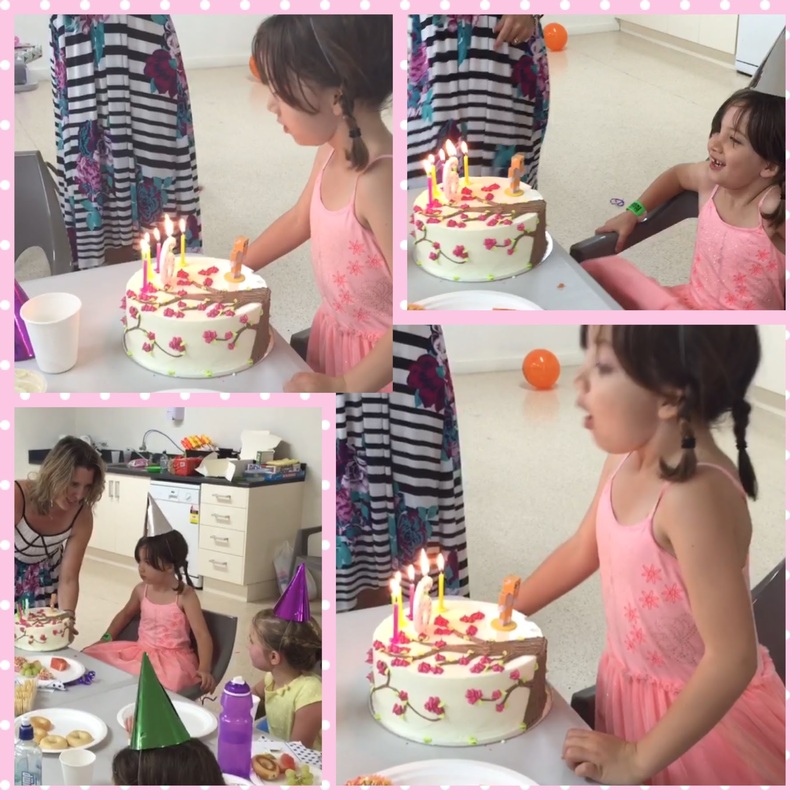 Alice, Life in action - Videos, Special Days Alice milestones, Birthday, birthday party, letter to my daughter, six year's old, tooth fairy. permalink.